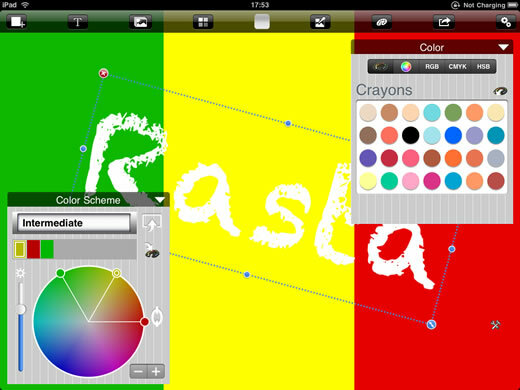 Color Design, Color your life. Please send your comments, suggestions, feature requests. Click here. - Pinch to resize color and text. - Double-tap to reset size. - Save Scheme image to Photo Album. - Email Scheme (you can also attach image). 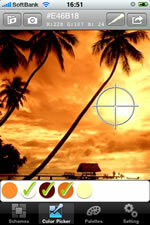 - Pick colors from images. - Save favorite colors to Palette. - Sort colors by custom, name and Color spaces. 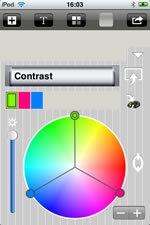 NOTE: Color values in Preset Palette are approximate values. Color Picker Pick color from image. Color Palette Add color, sort, reorder, name..
Email Palette Email Scheme, Palette. Color Schemes Wide screen, Nice and Smooth. 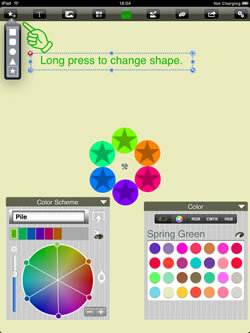 ● ▲ ■ ★ Long press shape button to change More shapes. 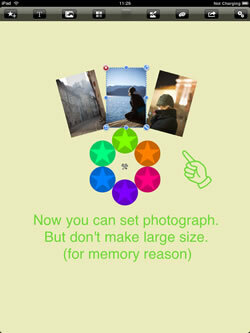 Photograph Now you can Scale, Rotate Photos. NOTE: Large-scaled image needs large memory size. © TIMPLANES All Rights Reserved.